Indonesians will go to the polls on Wednesday 17 April to elect a president and vice-president, a weak 136-seat Senate, a powerful 575-seat House of Representatives, provincial legislatures and local councils. “According to the KPU [Indonesian Electoral Commission], about 40 per cent of eligible voters are millennials aged 17 to 35 years old. And many of them will be voting for the first time. So the new millennial vote is considered the key to victory. . .
“Young voters are far from a homogenous group and many of those who are well connected online also hold deeply conservative views. Religious Liberty Prayer Bulletin (RLPB) 469, 22 Aug 2018. Polling indicates that the incumbent President Joko Widodo (57, also known as Jokowi) will be returned as president with the conservative Islamic cleric Ma’ruf Amin (76) as his Vice-President. 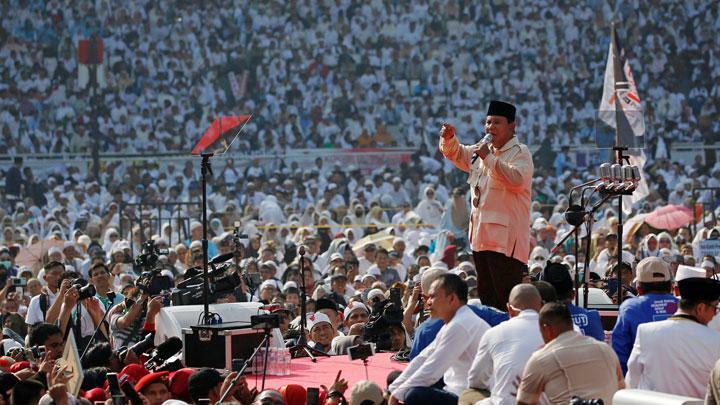 However, the gap between Jokowi and his perpetual rival, the controversial former Suharto-era military commander Prabowo Subianto (68), has narrowed. Subianto and his running mate, the telegenic billionaire businessman Sandiaga Uno (49), have pitched their message not only to the poor who feel left behind by Jokowi’s pro-development and pro-foreign investment policies, but to the more hard-line and intolerant, Jokowi-hating fundamentalist Islamists. Pundits expect the race to be not only close, but profoundly polarising. Jakarta-based Amanda Hodge is the South East Asia correspondent for The Australian. She comments (9 April) that the differences between the two presidential candidates were on display in the two political rallies that took place on Sunday 7 April. “While challenger and former Suharto-era military commander Prabowo Subianto’s 150,000-strong morning rally at a Jakarta stadium was an angry sermon against corruption and foreign plunderers to a sea of Islamic white, Jokowi’s afternoon carnival celebrated a vast diversity of ethnicities, races and religions. Hodge confirms (8 April), “Prabowo and his 49-year-old billionaire equities-dealer running mate, Sandiaga Uno, are polling higher among urban youth – a significant voter pool in a country where almost 40 per cent of the 192 million voters are under 35. The Prabowo Subianto-Sandiaga Uno ticket has also won support from the now-banned Indonesian Hizbut Tahrir (HTI) which supports the establishment of a caliphate and the adoption of Islamic Sharia law. In truth, these hardline Islamists have no love for Subianto or Uno, both of whom are nominal Muslims at best. But while their affection for Subianto and Uno is luke-warm and pragmatic, but their hatred for Joko Widodo red-hot and supreme. Meanwhile, the pro-development Jokowi-Ma’ruf ticket has secured the backing of Indonesia’s largest Islamic organisation, the Nahdlatul Ulama (NU). This is unsurprising considering Ma’ruf Amin was NU Supreme Leader until he stepped down in September 2018 in order to enter politics. Instead he will serve as a member of NU’s advisory board. As noted by Tim Mann (University of Melbourne), “voter dissatisfaction has led to a growing movement of people declaring that they would rather sit the election out or ‘donkey vote’ (golput) than vote for either of the candidates on offer”. Indeed, according to a recent survey by Indikator Politik, at least 20 percent of Indonesia’s roughly 192 million registered voters will abstain from voting in the presidential poll due to the deep dissatisfaction they feel with regards to the candidates. These are voters who would never vote for Subianto, primarily on account of his penchant for authoritarianism and alleged human rights abuses as a Kopassus general. But they also feel let down by Jokowi, and not only because he has failed to deliver on many of his promises. 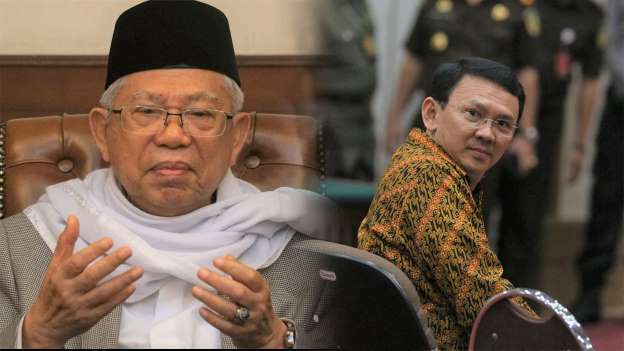 Many who would have voted for Jokowi will now be non-voters or golongan putih (golput) precisely because Jokowi’s vice-presidential running mate is Ma’ruf Amin, the cleric who, as NU Supreme Leader, testified against the ethnic Chinese Christian Governor of Jakarta, Basuki Tjahaja Purnama (Ahok) in the controversial blasphemy trial two years ago [See: Ahok’s Blasphemy, Religious Liberty Monitoring (29 Nov 2016)]. “Bidding for his reelection in the April 17 presidential race, the incumbent Joko “Jokowi” Widodo has focused his attention more on winning the hearts and minds of conservative voters, reflected among other means by his choice of running mate and giving concessions to the military. . .
“Jokowi’s apparent ideological shift may be more for expediency to ensure victory, but voters from his traditional support base to the left of the political spectrum fear it could have major policy implications for his next administration. “Many have declared through social media memes that they will not vote, making clear they did not endorse the shift, but that they would not give their vote to the challenger who is even further to the right, embracing hard-line Islamic groups. “How far to the right of the political spectrum is Jokowi shifting? Will he be able to resist pressures from Muslim conservatives and the military who want to have more say in his next government? Indonesia’s Next Election Is in April. The Islamists Have Already Won. How religion has come to dominate our politics. Renown Indonesian novelist Eka Kurniawan believes that by nominating Ma’ruf as his Vice President, Jokowi “has built a Trojan horse for his opponents outside the walls of his own city”. According to Mr Kurniawan, “polarisation has deepened since Jakarta’s gubernatorial election two years ago. “Mr. Prabowo and the rest of the opposition evidently learned a lot from Mr. Basuki’s [Ahok’s] downfall. In 2014, they ran an antiquated campaign based on the supposed resurgence of communism and the Indonesian Communist Party, and failed. The  Jakarta election has taught them that tapping Muslim values is an effective way to galvanize popular support. “With the Islamization of Indonesian society now evidently being mobilized toward political ends, Mr. Joko must proceed with caution. Yet he may have gone too far. Concerning Ma’ruf Amin, Mr Kurniawan says, “He isn’t just conservative; he is intolerant. He forbids the exchange of Christmas greetings. He rejects the Ahmadiyya, an alternative Islamic sect. He condemns L.G.B.T. activities. He wants to limit houses of worship for non-Muslims. 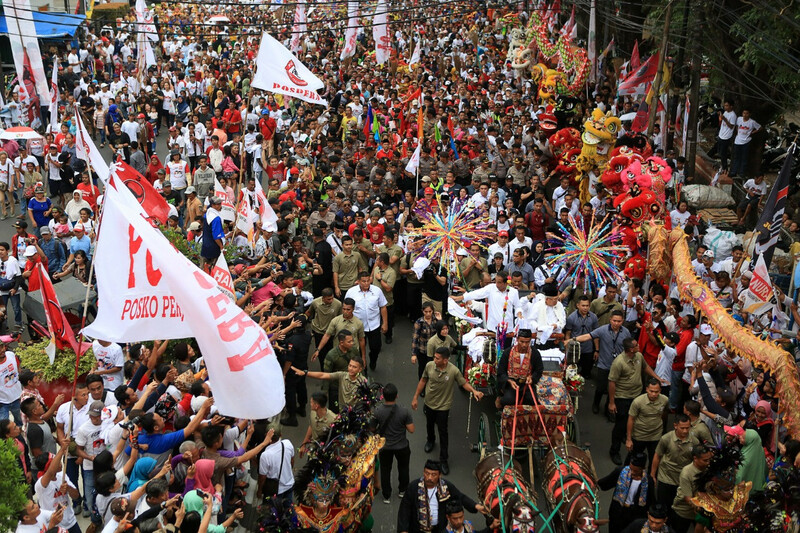 What might Jokowi’s vice presidential pick mean for religious freedom? “When Jokowi was elected [in 2014], many hoped for a reversal of the intolerance that had been allowed to develop under his predecessor [Susilo Bambang Yudhoyono]. There have been some limited improvements over the last four years, but the core concerns remain – religious minorities are still not able to fully enjoy the religious freedom they are guaranteed under the Constitution. “Shi’a and Ahmadiyah Muslims still face discrimination. Accusations of blasphemy are still used against minorities who demonstrate religious understandings or practices that differ from the majority. Minorities still face extreme difficulty building houses of worship. 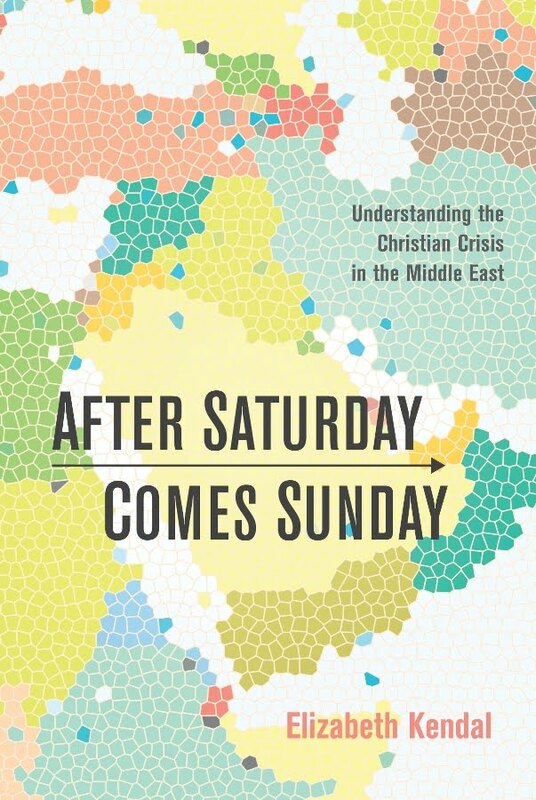 Elizabeth Kendal is an international religious liberty analyst and advocate. She serves as Director of Advocacy at Canberra-based Christian Faith and Freedom (CFF) and is an Adjunct Research Fellow at the Arthur Jeffery Centre for the Study of Islam at Melbourne School of Theology. 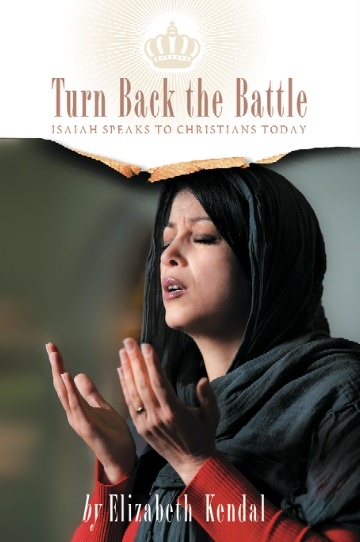 She has authored two books: Turn Back the Battle: Isaiah Speaks to Christians Today (Deror Books, Melbourne, Australia, Dec 2012) which offers a Biblical response to persecution and existential threat; and After Saturday Comes Sunday: Understanding the Christian Crisis in the Middle East (Wipf and Stock, Eugene, OR, USA, June 2016).